Adams Autoworx welcomes Mitsubishi owners. We are the dealer alternative. Whether your vehicle needs minor service, or you are noticing technical problems, bring your Mitsubishi to us - we are Castro Valley Mitsubishi repair specialists. Whether you drive Mitsubishi Outlander PHEV, a Mirage, or a Lancer - our nationally ASE certified technicians can diagnose and repair your Mitsubishi, usually the same day. 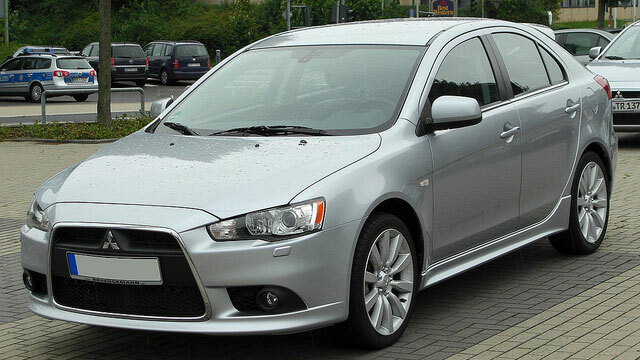 Mitsubishi continues to improve its quality and designs. Even though 2004 Mitsubishi Endeavor had AC and heater problems, and 2015 Mitsubishi Outlander Sport had electrical issues, overall Mitsubishi vehicles continue to be a pleasure to own and to drive. Every year Mitsubishi vehicles get better - but like all vehicles, they require regular maintenance and service. Our ASE nationally certified technicians can provide manufacturer recommended services, as well as any repairs necessary to keep your vehicle in top shape. We are a full-service Mitsubishi repair shop. As such, we not only provide manufacturer recommended maintenance, but a variety of other repairs and services - AC repair, brake repair, CV boot replacement, fuel pump replacement, serpentine belt replacement, check engine light diagnostics, AC recharge, water pump replacement, timing belt replacement, tires, electrical system diagnostics, clutch repair, sensor diagnostics, sensor replacement, radiator repair, transmission service and repairs, clutch replacement, shocks, struts, “check engine” light diagnostics and repairs, as well as other services and repairs needed by your Mitsubishi. When you bring your Mitsubishi to Adams Autoworx, your vehicle is in good hands. Our technicians have state-of-the-art diagnostic equipment, latest training necessary to diagnose and repair your car – the first time. So schedule an appointment online or simply give us a call.